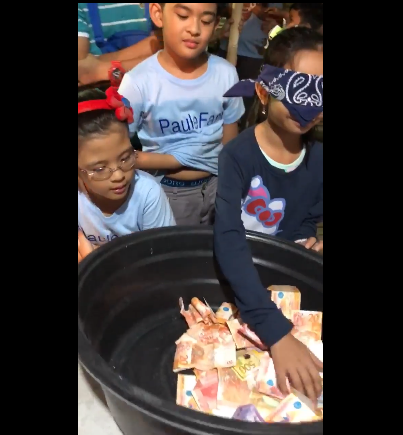 Home / VIDEOS / WATCH: Bagong pausong palaro Ngayong Darating Na Pasko Patok sa Netizen. 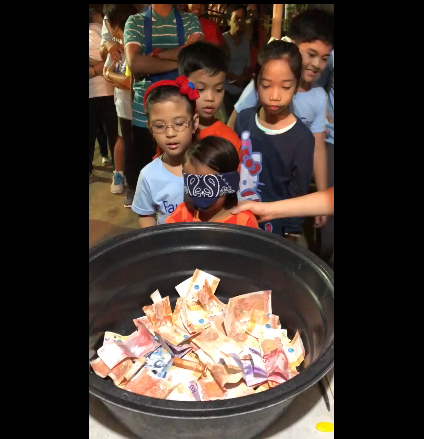 WATCH: Bagong pausong palaro Ngayong Darating Na Pasko Patok sa Netizen. The Philippines is the only country that celebrates Christmas for a long period of time, even as long as possible. By September, Christmas carols started playing, colorful decors and lights everywhere, and the cool breeze feels like Christmas. I would say that in the Philippines, you will really feel the essence and spirit of Christmas. 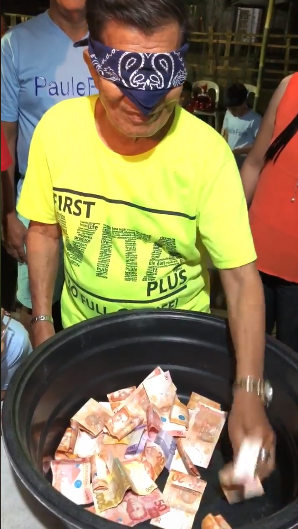 That is why Christmas is the most important holiday in the Philippines. Part of Filipino Christmas traditions is to have Christmas party. Companies, schools, and establishments have their own Christmass party for their employees. But the very important tradition in the Philippines during this season is the Christmas Eve, the Noche Buena. The Noche Buena is a big, open house, celebration with family, friends, and neighbors dropping in to wish everyone a Merry Christmas. 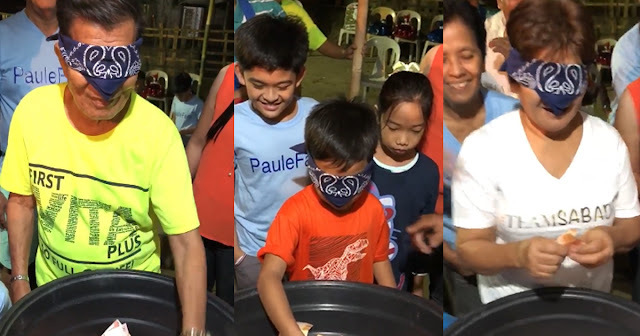 Most of the households prepare food such as lechon (roasted pig), ham, fruit salad, rice cakes (bibingka and puto bumbong are traditional Christmas foods) and other sweets, steamed rice, and many different types of drinks. 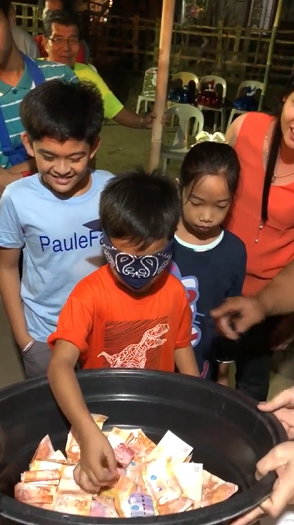 But aside from celebrating with family and love ones and giving gifts, Christmas games makes it more fun and enjoyable. 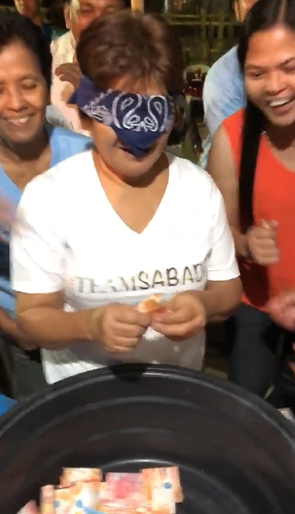 Recently, a video that shows people picking money on a big basin with a blindfold went viral. 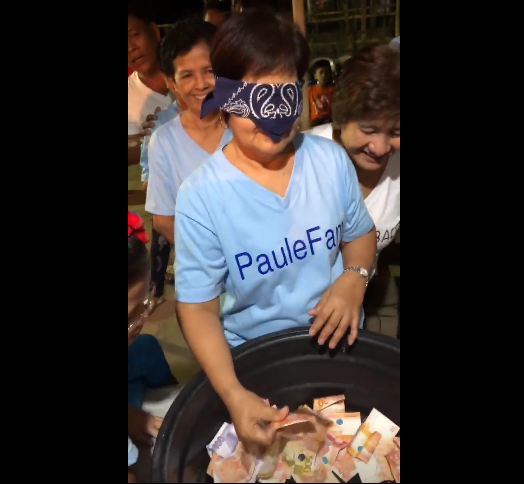 The game is, the person will be blinfolded in front of a basin full of various cash amounts. 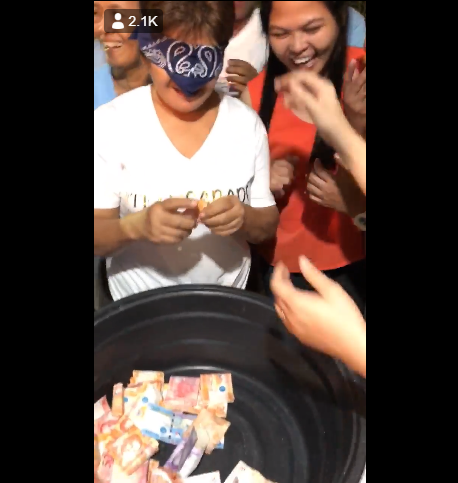 After being blindfolded, they will pick a cash and that's what they will get. 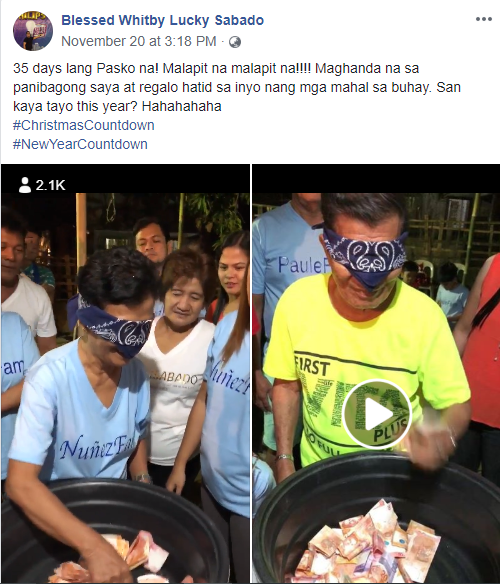 Netizens are saying that they would do such in their Christmas party this coming December. How about you?